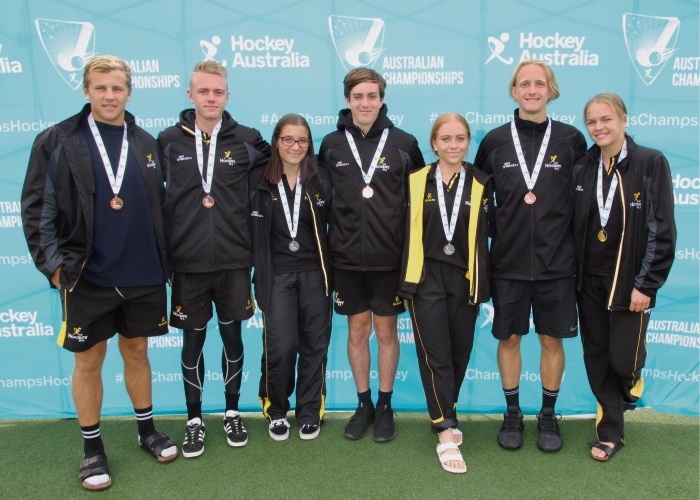 Melville City Hockey Club’s Kyle Potter, Wes Stewart, Jo Snyman, Mitchell Tate, Jade Vanderzwan, Justin Schonken and Neasa Flynn helped guide WA to medals at the Under-18 National Championships in Launceston. MELVILLE City’s future looks promising, with the hockey club’s next generation returning from the Under-18 National Championships in Launceston with medals. Jo Snyman, Jade Vanderzwan and Neasa Flynn brought home silver in the girls’ division after WA lost an epic tussle with NSW in the final. Vanderzwan levelled the scores leading into half-time but WA could not equalise at the death after NSW had jumped out to what would be a match-winning lead. The Melville quartet of Kyle Potter, Wes Stewart, Justin Schonken and Mitchell Tate helped WA claim bronze against Queensland Gold. With the medal on the line in the penalty shoot-out, Schonken knocked home the winning strike to play hero for WA. 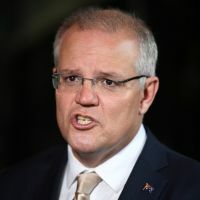 After narrowly missing selection in the WA team, Dylan Forbes pulled on the Northern Territory colours to add strength in defence. He was recognised with NT’s most valuable player award. All eight players will represent Melville in the upcoming hockey season, with seven still eligible to play in juniors.